A luxurious woven silk cravat with game bird detailing including partridge and pheasants. The perfect addition to any shooting or smart country-inspired outfit, this stunning cravat is made from beautiful olive silk. Team with a co-ordinating checked shirt or classic green moleskin trousers. 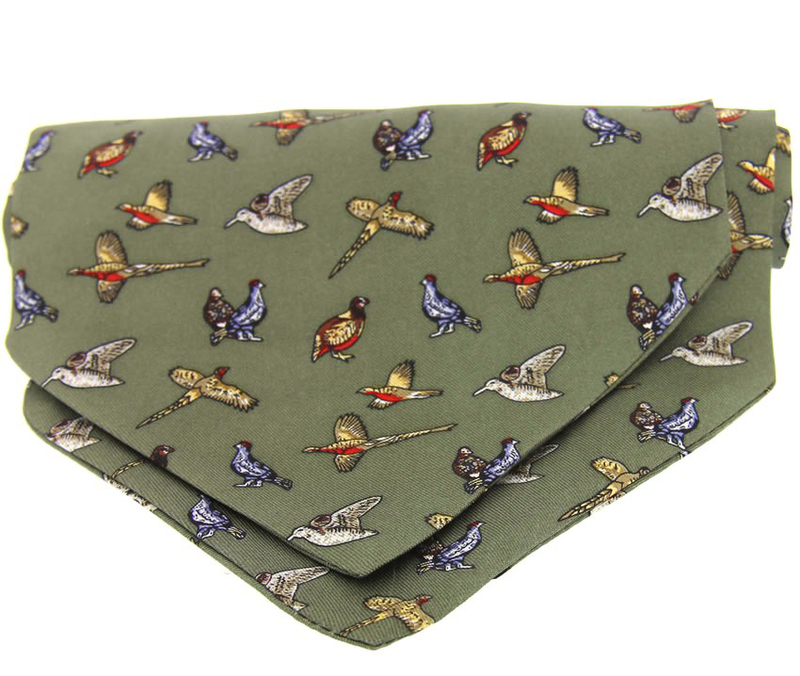 Our silk shooting ties and cravats also make superb gifts for any country gent.